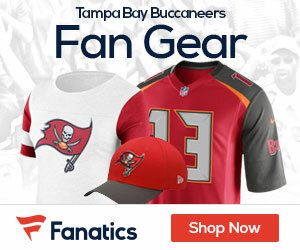 Listen up Bucs fans: you can now get all of your Tampa Bay Buccaneers gear at winning prices at Old Navy! There are only a few more days till the season kicks off so it’s time to head to Old Navy to stock up on gear for the season. 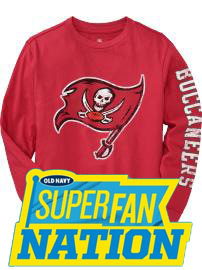 Whether you’re at the stadium, in the parking lot, in your own backyard or in front of the TV, Old Navy has everything you need get kick the Buccaneers season off in the right fashion.